“A Better Testimony” – sermon preached at St Luke’s Liverpool on the 20th of March, 2011 from John 3:22-36. A couple of suburbs down the road from my place is a big billboard on a major road. It says “Judgement Day is coming. 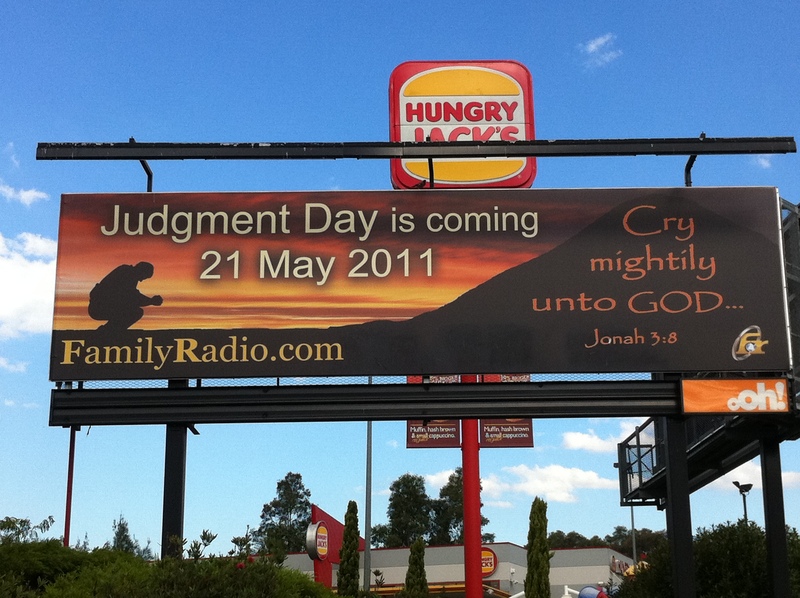 21 May 2011.” According to this billboard, the end of the world is coming and it’s only weeks away. There seems to be a lot of people recently who are saying that they have prophesied the end of the world. They point to events such as the floods in Queensland, the earthquake in New Zealand, the tsunami in Japan and say that the end of the world is coming any day now. That these disasters are a sign from God that he’s getting ready for the end game. The people behind this billboard are even prepared to name a date, based on their understanding of the Bible and some creative mathematics. Should we listen to these so-called prophecies? Are they reliable? Can we really know the date when Jesus returns? I have my doubts. Let’s just say I plan on getting a photo of myself in front of this billboard on May 22nd. Some movies you see because they have a message you should hear. They use characters and situations to shed some light on the human condition and challenge your perceptions. Other movies you watch because things blow up real good. 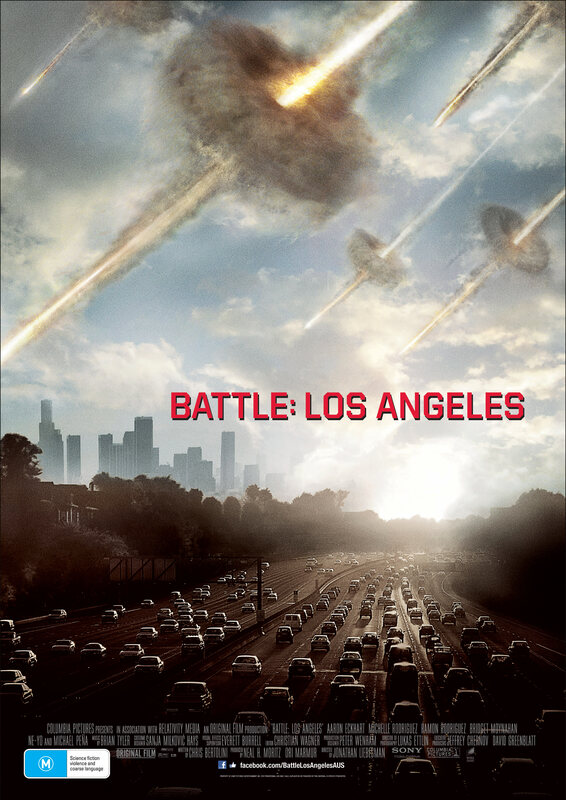 Battle: Los Angeles is the second kind of movie. An alien force has begun an assault on planet earth. Key cities around the globe are being bombarded with meteorites, which, once they make contact, reveal they contain hundreds of alien soldiers ready for a fight. We follow a squad of Marines as they are tasked to rescue some stranded civilians in the city of Los Angeles before the Air Force comes and bombs the city back to the stone age. There is doom and gloom while things go boom. And that’s about it really. “Gaining Entry” – a sermon preached at St Luke’s Liverpool on March 13th 2011 from John 2:1-21. Lady Gaga rocked up to the 2011 Grammy awards inside a giant egg. She then proceeded to perform her latest song, Born This Way, while dressed as an egg yolk. This should come as no surprise. Lady Gaga has crafted her entire celebrity around being provocative and attention grabbing. She needs your attention and she’s going to get it by telling you exactly what you want to hear. 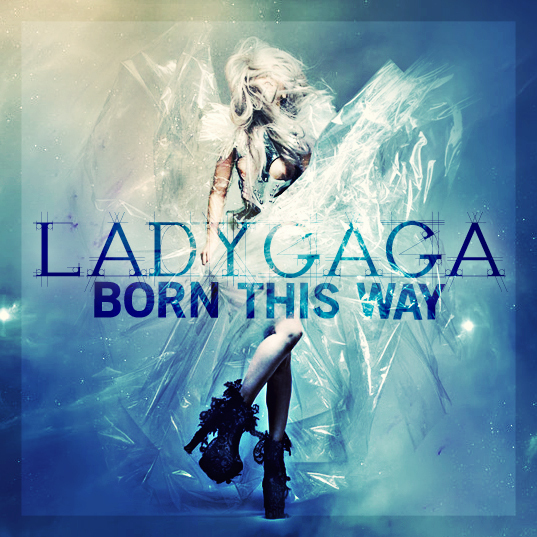 Born This Way is a celebration of the uniqueness of self. But it is also a glorification of sin. Because this song is a lie. It presents a world where sin does not exist and there’s not a single thing about you that needs to change. Every thought you have, every thing you do is not only acceptable, but applaudable. Do not conform but be yourself. You are perfect in every single way. That’s the gospel of Lady Gaga. But it’s not the gospel of Jesus Christ. At the start of this year, I took on a new role at my church. I went from being a student minister (1 day a week) to the Associate Minister of St Luke’s Liverpool (I think it’s an 8 day a week job, but I haven’t figured out how that works yet). One of the benefits of this new role is that I upgraded to a bigger office. One of the downsides is that I’m actually expected to work, so punching out articles has become harder. Anyways, last week some friends of mine who are youth ministers were sharing photos of their desks on Facebook. I thought that other people may be interested in checking out my workspace. You’ll notice that there aren’t as many toys in current office as there were in my previous home office. Trying to think through the issues of minimalism vs fun. Any suggestions? What’s missing?